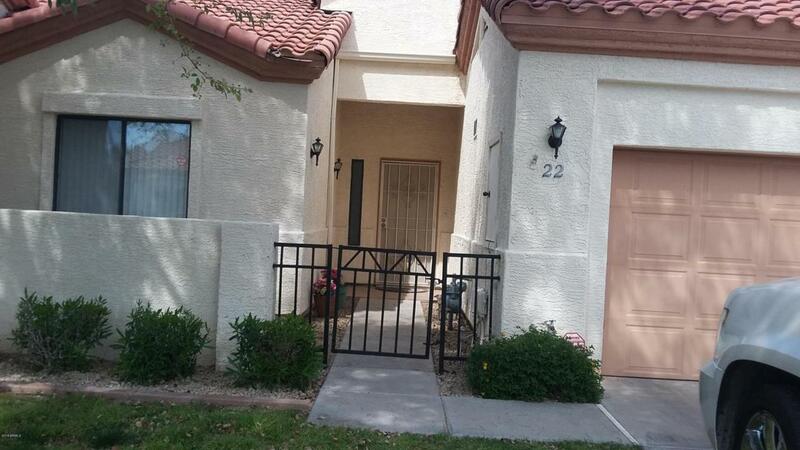 Beautiful & clean home in a great part of Mesa and within walking distance of the Hohokam Ballpark! Split floor plan offers privacy for you & your guests, with 2nd bath just outside bedroom 2. A spacious combined family & dining room is open and bright with vaulted ceilings and perfect for entertaining. Eat in kitchen includes all appliances, inside laundry room includes cabinets, newer water heater, ceiling fans and so much more! Private backyard has a watering system for your garden and a covered patio to sit and read and relax. This is definitely a move in ready home! Call for a showing!